FREE Nature Made Adult Gummies Sample! Home / Freebies / Free Stuff Online / Free Samples / FREE Nature Made Adult Gummies Sample! 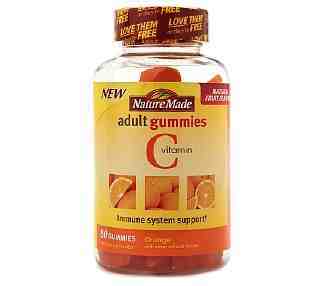 There’s a new Nature Made Adult Gummies Sample available on the Target Sample Site. This site is sometimes funky in that you have to change browsers or try several times to get your sample request to work. Be sure to let me know if you get one! Target has a great new Gift Card deal going on these right now. Prices start at $7.99 and when you Buy 2 You can get a $5 Target Gift Card! You can print a coupon for $2.25/1 Nature Made Adult Gummies Product right now making these just $3.24 per bottle!